Uilenkraalsmond is the ultimate holiday destination for families and also offers superb investment opportunities. 'Uilkraal' brings people from all walks of life together to experience the time of their life's, being it they are 5 / 15 / 25 / 45 or even 85 years old. The people you'll meet at Uilenkraalsmond Holiday Resort still believe in the term, 'age is just a number'. Therefore its not ONLY the older generation that want to return, but also the young ones. We pride ourselves on being one of the best family resorts in the Western Cape with endless facilities in the resort and nearby, which includes a beautiful beach, lagoon and white dunes you can admire while taking a walk along the warm Indian Ocean. A family holiday with a difference - second to none! Follow the R43 from Hermanus to Gansbaai passing through Stanford. Go through Gansbaai, proceed past Kleinbaai and Franskraal and turn right into Uilenkraalsmond. 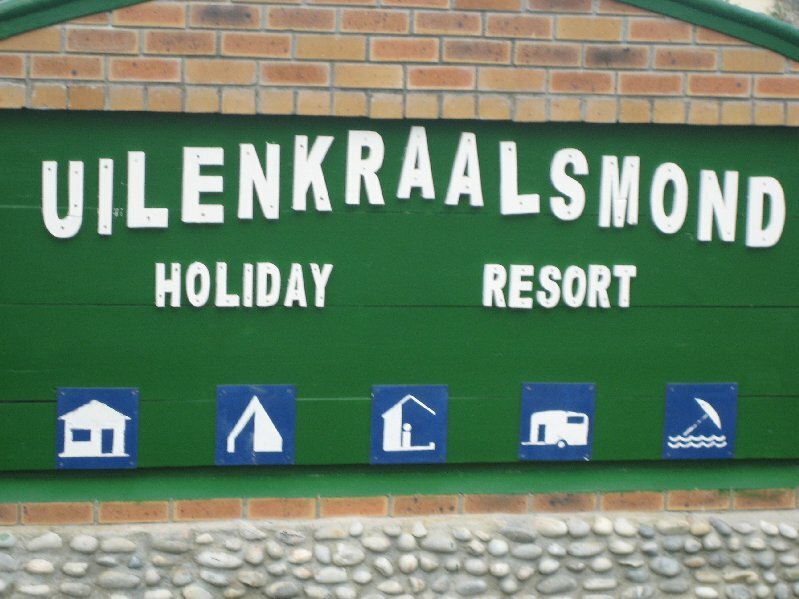 Uilenkraalsmond Holiday Resort is situated on the beach 5km outside Gansbaai, in the Overberg, Western-Cape, South Africa. Only 175km from Cape Town and a short 2 hour scenic drive. mini golf and games room. Accommodation available for long-term, long-weekends & school holidays (minimum 3 nights) - click here.